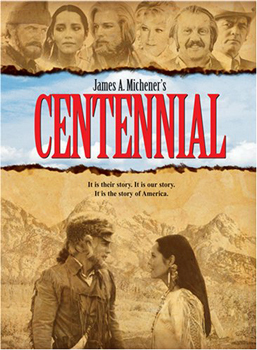 Journey to the Wild West in the sweeping, sensational epic drama Centennial: The Complete Series! Relive the grand hopes, dreams, loves, and adventures of generations of residents in Centennial, Colorado – from their risky attempts to establish a settlement in 1795 through the politics and power plays of the 20th century. With over 26 hours of content on DVD for the first time, this incredible set gives fans the opportunity to own the complete chronicle that showcases one of the finest casts ever assembled, including Richard Chamberlain, Robert Conrad, Timothy Dalton, Mark Harmon, Andy Griffith, Raymond Burr, Dennis Weaver, Lynn Redgrave, Sharon Gless, Stephanie Zimbalist, Sally Kellerman and many more. Based on James Michener’s best-selling novel, this Primetime EmmyAward-nominated saga is a captivating look at the intertwining lives of the brave men and women in a fictional American town that endured the growing pains of a nation on the rise.